Start at A and end at B? 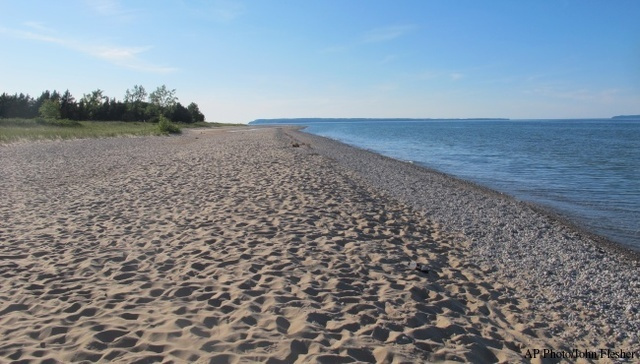 EMPIRE, Mich. (AP) — Guided kayak tours will be available next year along the shoreline at Sleeping Bear Dunes National Lakeshore in northern Michigan. The Traverse City Record-Eagle reports Jeff Gagie received authorization from the National Park Service for his company, All About Water, to provide the tours at the popular tourist destination. Gagie started All About Water in 2014 as an online kayak and paddle board rental company that offers deliveries in the Traverse City region. Customers will be able choose from tours led by credentialed guides with routes going around Pierce Stocking, Pyramid Point or Good Harbor Bay. Gagie hopes to begin the tours mid-June. The cost of $60 per person includes kayak rental and equipment such as life jackets, paddles, dry bags and wet suits. We no longer operate in Florida.